Many in the integrative healthcare community know Adam Perlman, MD, MPH, as the face behind the wellness portfolio at Duke Integrative Medicine in Durham, North Carolina. Through his impressive line of work, he oversaw Duke Integrative Medicine, the Duke Diet and Fitness Center, and the Duke Health and Fitness Center, and founded and directed the Leadership Program in Integrative Healthcare at Duke University. We recently received the news that Perlman has begun a new role as the director of integrative health and wellbeing at Mayo Clinic in Jacksonville, Florida, an endeavor that will bring exciting health and wellness innovations to one of the most prominent academic healthcare organizations in the U.S.
Integrative Practitioner editor, Katherine Rushlau, sat down with Perlman to discuss his new position—which he started just last week—as well as his expertise and thoughts on incorporating integrative and function medicine and integrative health coaching in to patient care. Integrative Practitioner: How did you decide to make the transition from Duke Integrative Health to Mayo Clinic? 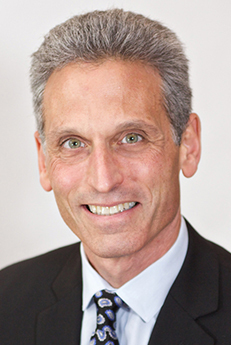 Adam Perlman: Duke Integrative Medicine is a wonderful integrative medicine program, with robust clinical, education, and research components. I really enjoyed my time there, learned a great deal, and took what was already a great program and hopefully, in some small way, made it even better. My focus there was on developing integrative programming, looking at the business model, and working out how to develop a program that can have a profound impact on patients’ wellbeing but in a way that’s [financially] sustainable. I was very happy at Duke Integrative Medicine, [but wanted to do something different]. One of the things I recognized was the bigger umbrella is wellbeing. Patients want to flourish; they want to live their best lives, and to do that they need to think about their wellbeing from a much broader perspective. There is a desire to address physical, mental, and spiritual health, but that requires going beyond the typical focus on exercise, nutrition, and conventional medicine and considering issues such as gratitude, relationships, purpose and meaning. How do we help patients explore their potential to live their best lives? That’s what I’ve become particularly focused on. I left Duke Integrative Medicine in 2017 to start a private wellbeing company, but quickly realized that wasn’t for me. As I began to look around at opportunities, I wasn’t sure I wanted to go back into academic medicine. I was feeling there was perhaps more opportunities for innovation outside of that setting, and I didn’t even really reach out to academic institutions. Mayo Clinic reached out to me looking for someone to develop its integrative medicine and health program at their Florida campus. They have integrative medicine in their Rochester campus, and now for a number of years in Arizona, but less so in Florida. Over the last couple years, they had a pilot program run within their breast cancer center by Dawn Mussallem, DO, who is also trained in naturopathic medicine. She brought in some acupuncturists, massage therapy, mind-body practitioners, and was successful clinically. That led to the desire to develop a more robust program on this campus. Timing-wise, I was looking for my next opportunity and, as I began to talk with Mayo Clinic, I was really struck by the enthusiasm across the board to develop a truly integrative, integrated and impactful program. I met with multiple people and all the way up through senior leadership there was this enthusiasm for not only integrative medicine, but for developing a broader wellbeing strategy. Integrative Practitioner: What are some of the top priorities now that you’re getting started at Mayo Clinic? Adam Perlman: Mayo Clinic is doing a lot in terms of wellbeing. I’m interested in developing the integrative medicine piece in Florida and collaborating with those who are already focused on wellbeing on this campus, to enhance wellbeing on the campus for both employees and patients. That being said, the first order of business is to develop a refined business plan for the program and a vision for this campus. But thinking big-picture, there are a few things I feel strongly about. Of course, the core aspects of an integrative program include things like acupuncture, massage and mind-body medicine. However, I’ve become a real fan and a practitioner of functional medicine. A functional medicine approach, especially for chronic diseases, is very impactful. I’ll be brining in functional medicine and, later on, likely recruiting a medical director for the clinic with both integrative and functional medicine experience. The other thing I feel strongly about is integrative health coaching. So much of what is driving the chronic disease epidemic can be effectively mediated clinically and economically with health coaches, individuals who are trained to help people make lifestyle choices and sustainable behavior changes. I am particularly interested in integrating health coaches in to the Mayo Clinic system, starting in Florida and helping develop a scalable and sustainable health coaching component for the overall program here. Integrative Practitioner: What are some of the successes and challenges that you’ll be bringing from your experiences at Duke Integrative Medicine? Adam Perlman: When I started at Duke Integrative Medicine, the program was very robust. I ultimately had responsibility of the health and wellness portfolio. One of the things I’m excited about at Mayo Clinic is, while they’ve done a pilot and developed some infrastructure, it’s more of a build-it-from-the-ground-up project. One of the main things that I was challenged by [at Duke Integrative Medicine] was we had a lot of redundancy, [the same types of practitioners doing the same things in different settings], so it could have been structured more efficiently. Some other challenges would be around how we build the business model—allocation of overhead, how much space do we want to take on, modeling something efficient that has the potential to not only have a profound impact on our patients, but also be sustainable from a financial perspective. The need to be fiscally responsible isn’t because integrative medicine programs will ever be the tide that rises the ship of the health system to profitability, nor will it be the hole that sinks the ship. The reason to make sure you’re building the business model wisely is to create a model that brings real value, improved outcomes, less cost, is sustainable but scalable, and ideally is a model that other institutions can look at and hopefully seek to replicate. If it loses money, that isn’t going to be feasible. Integrative Practitioner: What are you most looking forward to in your new role? Adam Perlman: I’m really excited to work with and learn from my new colleagues across the Mayo Clinic. There are so many great people here, doing great things. I am also really impressed with the enthusiasm of everyone I have met with, including senior leadership and Gianrico Farrugia, MD, the president and CEO of the Mayo Clinic. It’s very exciting to see a leader who is genuinely enthusiastic about the impact integrative medicine and wellbeing can have on employees and patients. Editor’s note: This interview was edited and condensed.